Your social media feeds are jam-packed with video and for good reason — people love it. In fact, by 2019, it’s expected that video will account for 80% of all consumer internet traffic. That’s a hard stat to ignore! Here’s another amazing statistic from LinkedIn: Original video posts get shared 20 times more often than text posts or images. So, knowing you should be doing video is Step #1. Let’s get to doing it! Start with good, valuable content. Focus on what you have to share with your audience — make it helpful, meaningful, timely. Be organized and succinct — but at the same time — give details and insight. Then, get to work creating videos that speak to your people. For just a moment, lay aside all the reasons you’re putting off creating a video. Yes, some folks want perfect lighting, a decorated set, a production crew — the works. But you really don’t need all that. 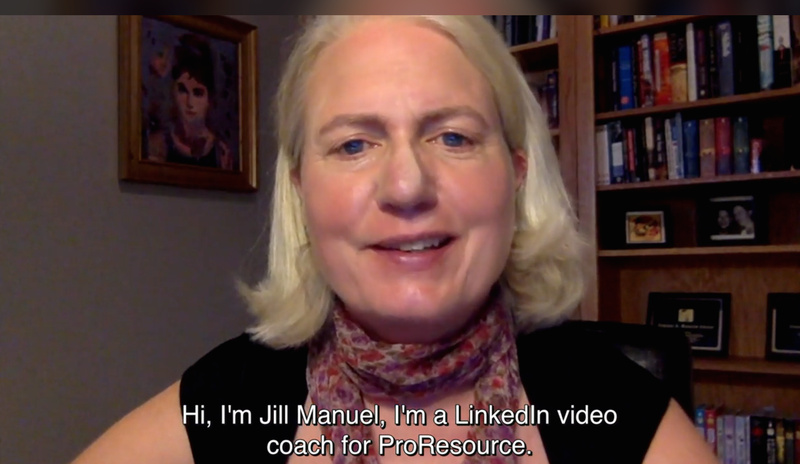 ProResource video coach Jill Manuel addresses this topic in a new series of videos, showing you how native video can be straightforward, cost-effective, and easy to accomplish. Sure, you’ve used your phone to record your daughter playing soccer or friends dancing at a wedding, but never for “business” purposes. You watch a video and think, “Wow! They must have a professional team producing this.” In some cases that’s true, but for the most part, these are simple videos shot on a smart phone or webcam. Here, Jill shares three simple steps for getting started on video, including how to create your own teleprompter using Microsoft Word. 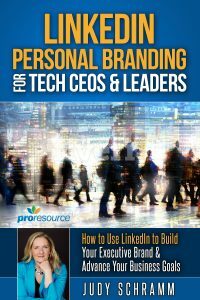 One of the many things that may be keeping you from creating your first LinkedIn video is the actual process of shooting and recording. In this second video, Jill goes over three tips to tackle this fear: 1) Make sure you look your best, 2) Test your video ahead of time, and 3) Just do it. After all, just getting started can sometimes be the hardest hurdle to overcome. Did you know that 80% of people have their sound off when looking at social media? Whether they’re at work or commuting on the subway, people don’t want their neighbor to overhear every little video or ad that pops up in their newsfeed. The solution? Adding captions to online content. In this video, Jill shares easy tips and programs for editing your videos, including automatic captioning and simple production tips. 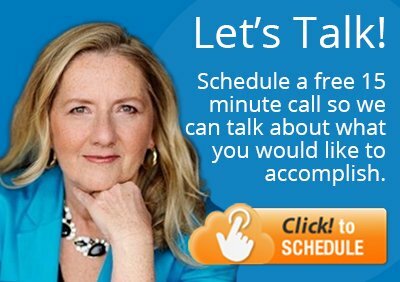 For more quick and easy video tips, follow Jill Manuel on LinkedIn. Also, if you’re just getting started with LinkedIn video, share your success stories (or struggles) in the comments below. Good luck!